Argentina’s flagship carrier, Aerolineas Argentinas, has taken delivery of their first new, directly purchased Airbus A330-200 aircraft as a part of the carrier’s fleet renewal strategy. The aircraft, equipped with GE engines, joins the airline’s existing fleet of 11 Airbus widebody aircraft, comprising four A330-200s and seven A340s. 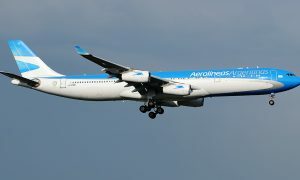 Aerolineas Argentinas will deploy its new A330 on starting on long haul routes from their Buenos Aires hub to Miami and New York City, and then Madrid in July 2015. Aerolíneas Argentinas has been an Airbus operator since 1994 when the airline began flying the A310-300. In February 2013, Argentina’s national airline announced their order for four Airbus A330-200s to renew and consolidate its widebody fleet. The A330 Family includes Freighter, VIP, and Military Transport/Tanker variants, has now attracted more than 1,400 orders. Over 1,100 A330 Family aircraft are flying with more than 100 operators worldwide. 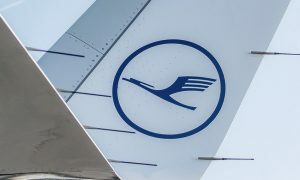 With more than 850 aircraft sold and a backlog of nearly 400, more than 550 Airbus aircraft are in operation throughout Latin America and the Caribbean. In the last 10 years, Airbus has tripled its in-service fleet, while delivering more than 60 percent of all aircraft operating in the region.